Get an updated take on the classic pearl bracelet with this cubic zirconia-studded piece! 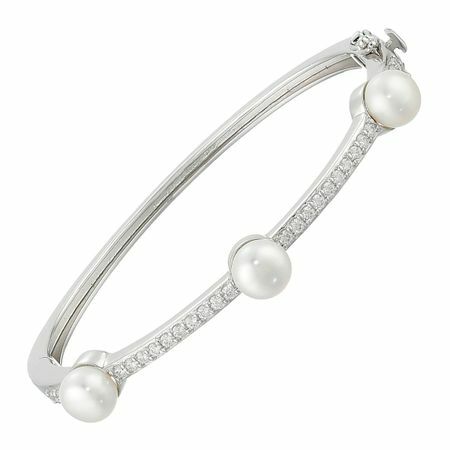 Three freshwater cultured pearls, 7.5-8 mm, are stationed along this hinged sterling silver bangle, separated by a row of round-cut white cubic zirconia for added shine. Box clasp with tongue and safety. Piece measures 6 3/4 inches in circumference.